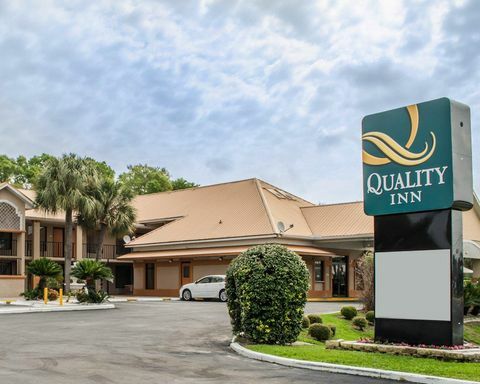 The Quality Inn® hotel in Chiefland lets you relax and focus on the people and experiences you came for. We're located in the heart of the coastal Suwannee Valley near Manatee Springs State Park. Each guest room offers a refreshing shower, coffee maker and desk with ergonomic chair. Your Q Bed features a comfortable, premium mattress and linens, a generous supply of fluffy pillows and a soft, plush blanket—because we know how much you value a good night’s sleep. Select rooms come with family rooms, sofa sleepers, microwaves, refrigerators, irons and ironing boards. Get your money’s worth at the Quality Inn. Chiefland hotels like ours offer the best hotel rates and the best amenities, so you can focus on the people and travel memories that really matter.